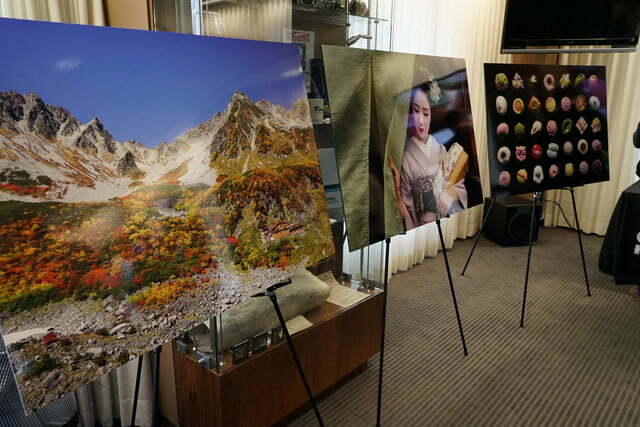 Enlarged samples of photos taken with the Sony Cyber-shot RX1R II. The high-megapixel full-frame sensor, combined with other components, allow the camera to achieve this type of photography. 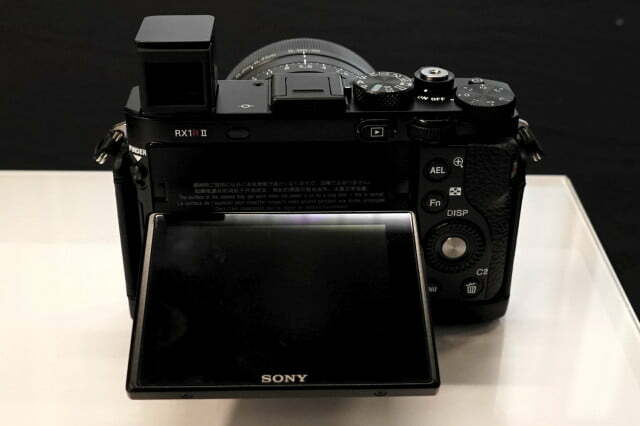 Sony's Cyber-shot RX1R II, disassembled – an engineering feat. 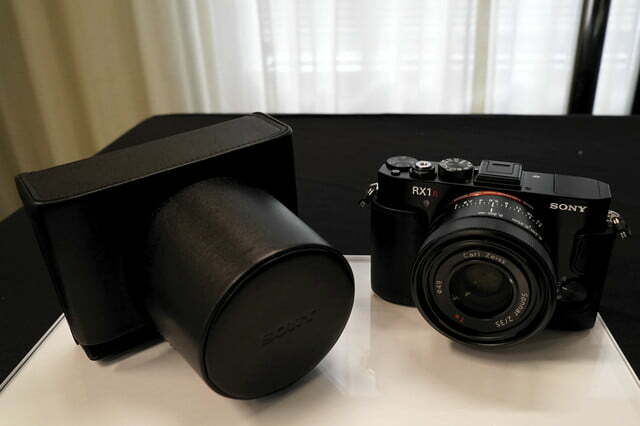 A couple years have passed since Sony introduced its ultra-premium full-frame compact, the Cyber-shot RX1R. During the hiatus, Sony has been batting balls out of the park with its Alpha A7, Cyber-shot RX100, and Cyber-shot RX10-series of cameras. 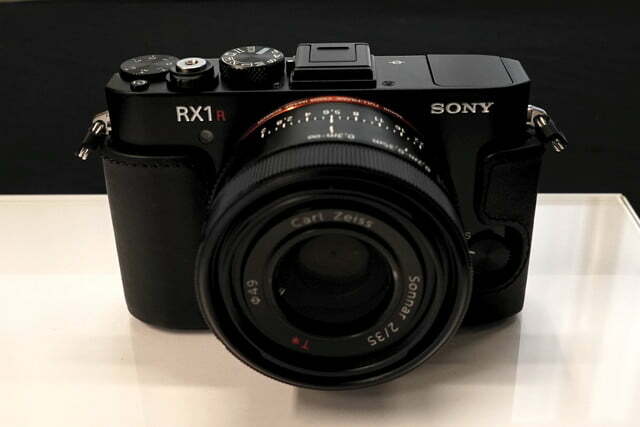 And now, the company is taking some of the tech advancements it has achieved in those cameras, and putting them into the new Cyber-shot RX1R II, which will go on sale in November. 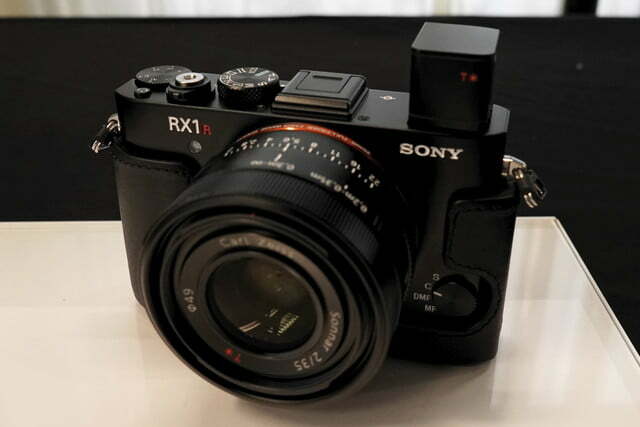 The RX1R II is the smallest, highest-megapixel full-frame camera you can buy (if you have $3,300) without going to the interchangeable lens camera (ILC) route. It’s a street photographer’s dream — or anyone who wants the best photos from a compact camera that’s lightweight and takes up hardly any room in a bag. The camera has a solid construction and feel, not unlike the A7-series mirrorless cameras. 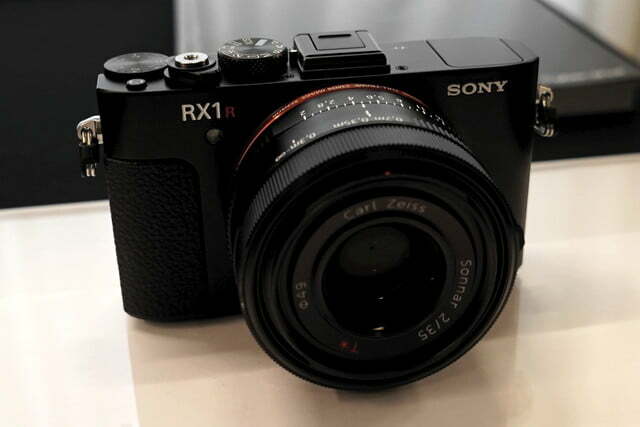 Design wise, it looks and feels like the previous RX1R and RX1 models — just a tad thicker, but still fits in the pocket. But perhaps it’s what Sony was able to squeeze inside the body that is notable — another pat on the back for its engineers. 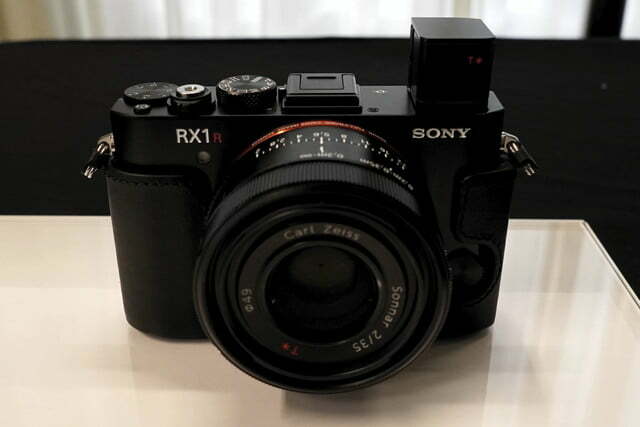 The RX1R II uses the same back-illuminated, 42.4-megapixel Exmor R CMOS full-frame (35mm) sensor — a first for the industry — that is used in the new A7R II. 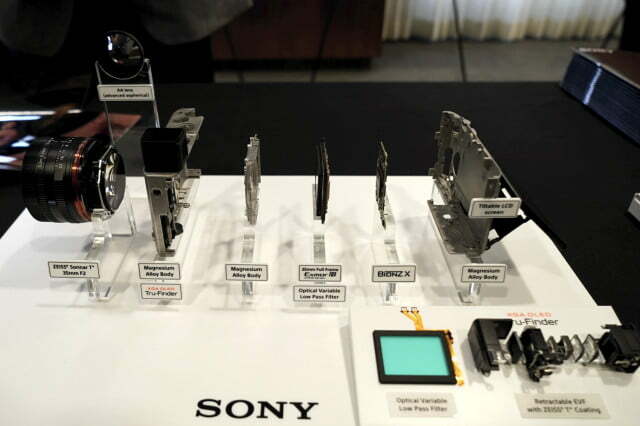 “The sensor’s back-illuminated structure, with an expanded circuit scale and copper wiring design, enables faster transmission speed and outputs data approximately 3.5 times faster than the original RX1R, ensuring high-speed performance,” Sony says. Paired with the Bionz X image processor, the camera has a high-sensitivity ISO of 100-25,600 (expandable to 50-102,400). 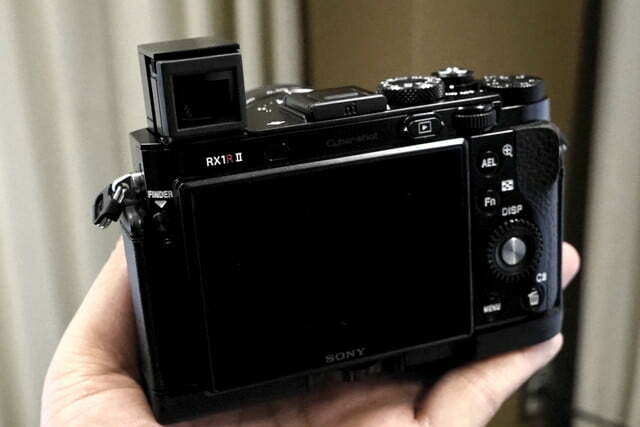 Sony’s Cyber-shot RX1R II, disassembled — an engineering feat. 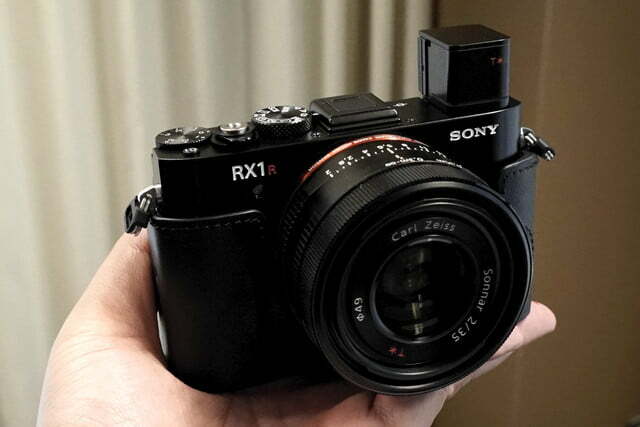 Like its predecessors, the RX1R II also uses a fixed 35mm F2 Zeiss Sonnar T* lens. While you lose zoom capability, this prime lens delivers sharper images, from the center and out to the corners. (Even with many ILCs we’ve been testing, we prefer to use quality prime lenses than ones with zoom.) 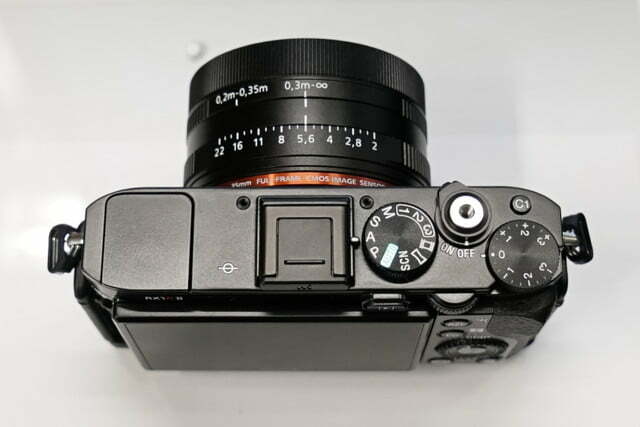 But the fixed lens design in the RX1R II has an advantage over interchangeable glass: It’s built into the camera and the sensor is mounted onto the lens structure, with an alignment precision down to the micron level and allows the lens to maximize the most out of the sensor. This is how the camera achieves that all-around sharpness, and it also gives the camera a low profile. 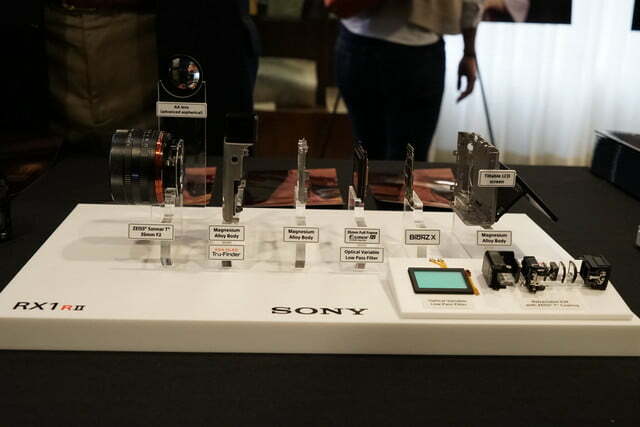 Unique to this camera is an optical variable low-pass filter, which Sony says is the world’s first. 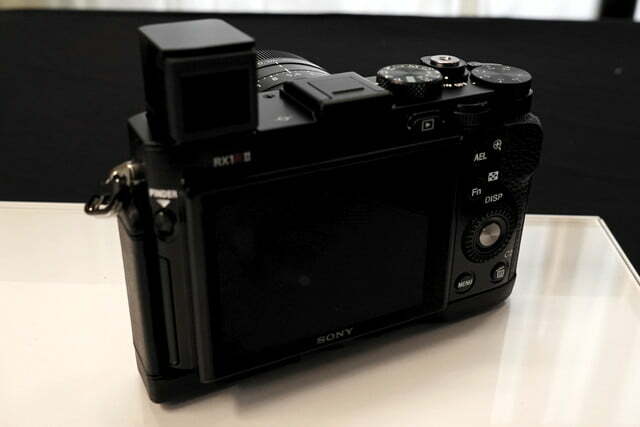 In previous RX1-series models, you either had the filter (RX1) or not (RX1R). With the RX1R II, you can turn it off, or choose “standard” (balancing between resolution and removing moire and color artifacts) or “high” (reduce moire and artifacting). If you are shooting a landscape scene, for example, you could turn it off. But if you’re shooting something with, say, weaved fabric (which can cause a weird pattern effect in the image), you can select the amount of filtering needed. A nice function is low-pass filter bracketing, which lets you shoot multiple photos in different filter settings, and compare them. When Sony figured out a way to squeeze an electronic viewfinder (EVF) into the RX100 III, it was a great feat of engineering. 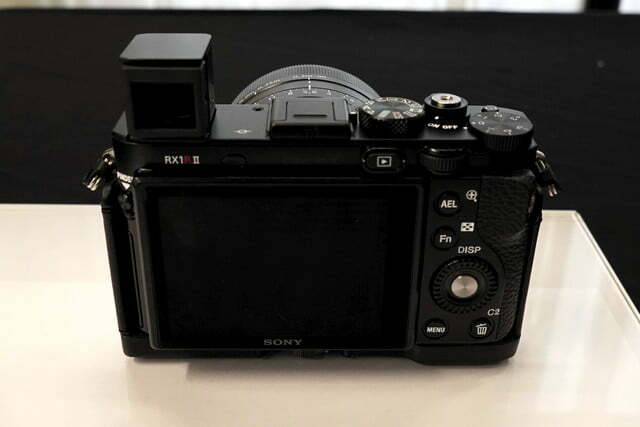 Sony brought the feature to the RX1R II (an EVF was optional with the RX1 and RX1R, which attached to the hot shoe), but unlike the version in the RX100 III and RX100 IV, you don’t have to manually pull out the EVF after it pops up. The 2.4-million dot XGA OLED Tru-Finder EVF “features ZEISS T* coating and four glass elements including two aspherical lenses that work together to deliver a magnification of 0.74x and clear corner-to-corner visibility with minimal distortion,” Sony says. 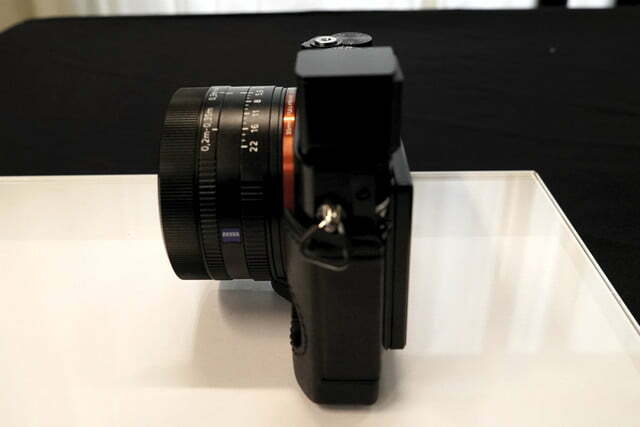 In addition to the EVF, there’s a 3-inch, 109-degree tilting LCD (1.2-million dots). The user interface and menu system is very similar to the one used in new A7-series cameras. 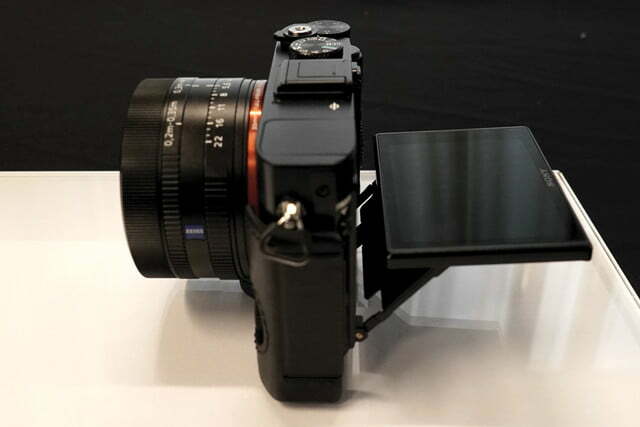 In addition, there are physical mode and exposure compensation dials that mimic a high-end camera. 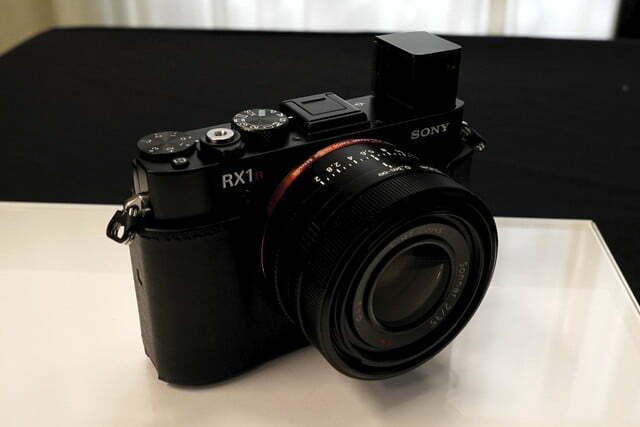 The RX1R II uses a Fast Hybrid AF system for focusing, with 399 focal-plane phase-detection AF points that covers 45 percent of the sensor, in addition to 25 contrast AF points. Sony says it’s the widest AF coverage on a full-frame sensor, and it makes the RX1R II 30-percent faster than its predecessors. 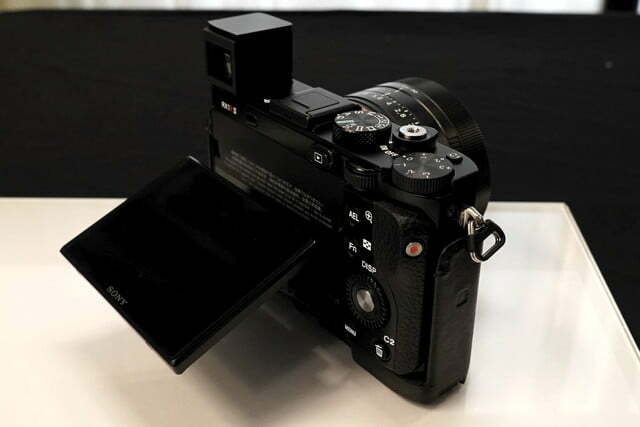 In our brief hands-on during Sony’s product demo, the camera’s autofocusing was very speedy. Also new is Wi-Fi and NFC, with support for downloadable PlayMemories apps; multiple aspect ratios; and support for 14-bit uncompressed RAW (introduced in the A7S II) for maximum quality. Unfortunately, Sony wasn’t able to put everything into the RX1R II, like 5-axis image stabilization or super-slow-motion modes. There’s also no 4K recording; the RX1R II shoots Full HD at up to 60p (XAVC S compression for higher bit rate). Sony says the camera is designed with traditional photography in mind, although you can shoot movies if you want to (although Sony didn’t show off any videos shot with the camera, so quality remains to be seen). We didn’t have the opportunity to review any images (the demo units were most likely pre-production models), but from the samples Sony displayed during the demo, they look very impressive, both in print and onscreen. 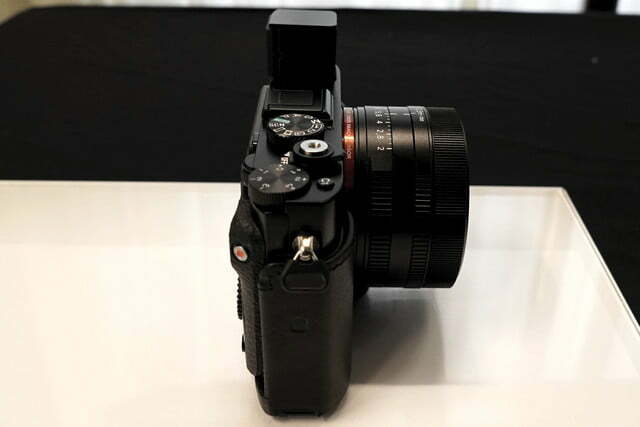 We’ve been testing the A7R II ILC, which has the same sensor, and we’ve been impressed with image quality, so we have the same expectations with the RX1R II. It’s not an affordable camera (although it’s less expensive than the Leica Q), but it’s so strong and feature-rich that we think its users won’t miss having an ILC.